After a short winter break, NL-1331X is continuing the new year with a much-anticipated NL1331X event in Auckland, New Zealand on February 23rd. Join Niantic's Ethan Lepouttre and Chiaki Narusawa for a unique anomaly/NL-1331 event! Rumor has it that a dead drop could happen in various cities NL-1331X visits. Continuing the NL-1331 flag pin series: We are introducing a new, collectible enamel wing/New Zealand flag pin. 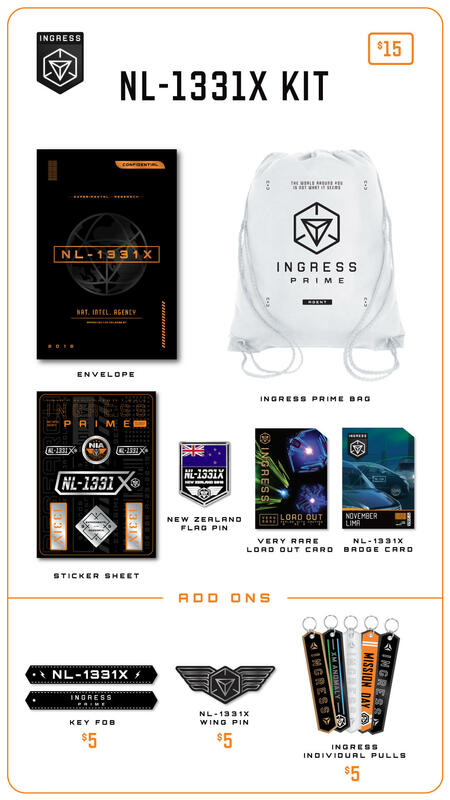 These will only be available in the New Zealand NL-1331X Supporter Kits, and in very limited quantities.